This perfectly round mold allows the egg to be cracked right inside it, thereby keeping the whites and yolk in an exact circle. This way, eggs cook consistently and are easily presentable on a plate or in a sandwich! The ring also features a coiled handle, allowing for easy grip and a cool touch. 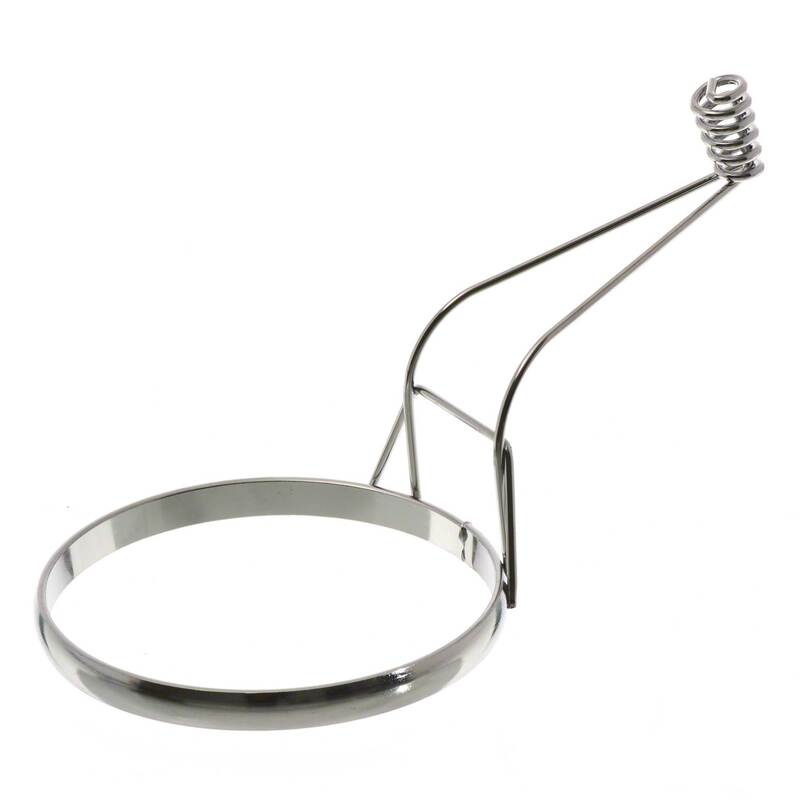 Made with chrome plating, this egg ring could not be more elegant during home entertainment or exposition cooking.